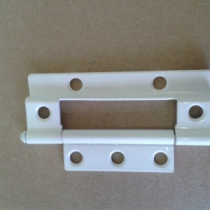 ShutterDoc is a specialist online retailer of plantation shutter spare parts and hardware in Australia. It is just one of a number of brands established by current owner Hugo Clancy back in 2003 to serve the growing online demand for custom-made plantation shutters and all the associated spare parts and hardware. If you don't see the product you need listed on our web site, please do let us know and we'll do our best to try and source it for you. We are more than happy to help both retail and trade customers with their requirements.